Courtesy of Compass RE Texas, LLC, John Zimmerman. 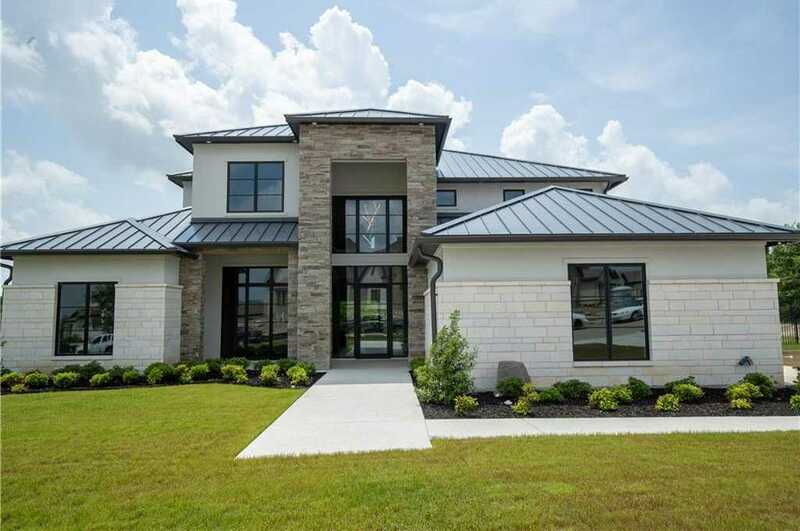 Stunning new custom home by JAAVA Custom Homes in the gated and 24-hour guarded La Cantera at Team Ranch neighborhood. Quality craftsmanship and finish out featuring 5 bedrooms, 5 full and 1 half bathroom, media room, game room, study, and 4 car garage. Chef’s kitchen opens to living area & comes complete with breakfast area, quartz counters, center island, walk-in pantry, butler’s pantry, coffee bar & top of the line appliances. On the first floor, media room, game room, study, guest suite & master suite with sitting area, custom walk-in closet, dual showers, free standing tub & quartz counters. Oversized utility room with sink & room for freezer. 3 additional bedrooms and living area up. Please, send me more information on this property: MLS# 13953272 – $1,499,000 – 5212 Verde Circle, Benbrook, TX 76126. I would like to schedule a showing appointment for this property: MLS# 13953272 – $1,499,000 – 5212 Verde Circle, Benbrook, TX 76126.